It can be a challenge to find plant-based desserts low in fat and sugar. 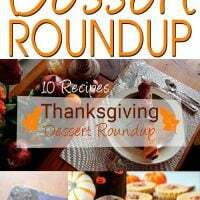 But these scrumptious Thanksgiving desserts deliver on taste and healthy ingredients. Some are a little more indulgent than others so let your conscious and taste decide what’s best for you. Remember that a little indulgence once in while is fine. 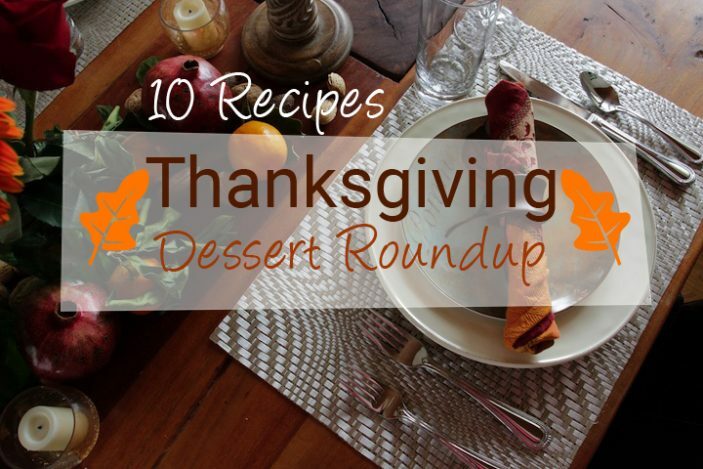 Consider adding one of these PLANT-BASED Thanksgiving desserts to your meal. May you enjoy precious time with loved ones and find gratitude for the bountiful foods we are blessed to eat. Thanks to all the food blogger who generously contributed to this post! And, it you’re looking for other Thanksgiving recipes, check out these delicious beauties, here and here. PS: Don’t miss the scrumptious looking pumpkin pie recipe at the bottom made with a 2-ingredient almond crust, yes, just 2 ingredients!! That’s amazing! 1. 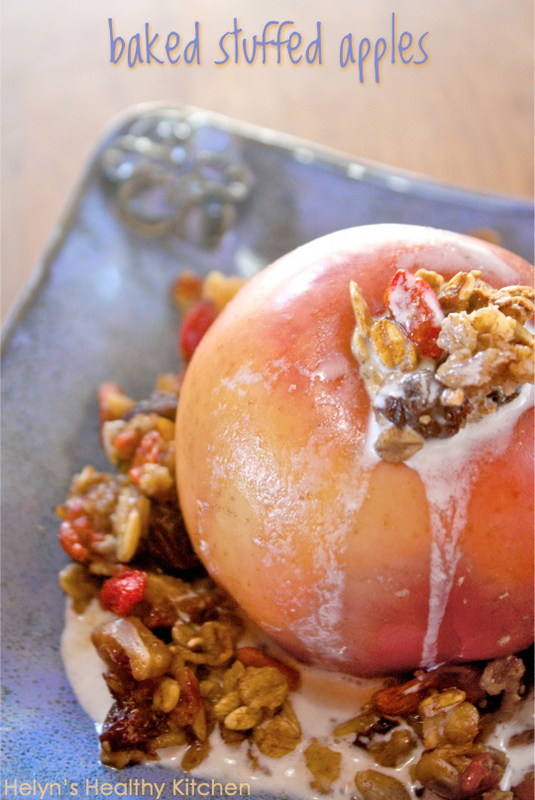 Baked Stuffed Apples | Helyn’s Plant-Based Kitchen They’re stuffed with nuts, seeds, dried fruits and hearty oats and topped with your favorite non-dairy milk or cream. 2. 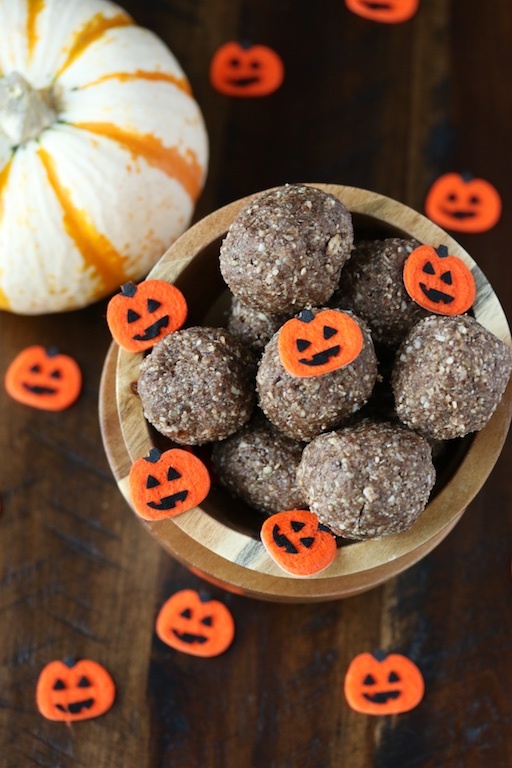 Pumpkin Pie Bites | Carrie on Living Chalk full of nuts and seeds, sweetened with dates and just a tad of coconut oil. Vegan and paleo. 3. 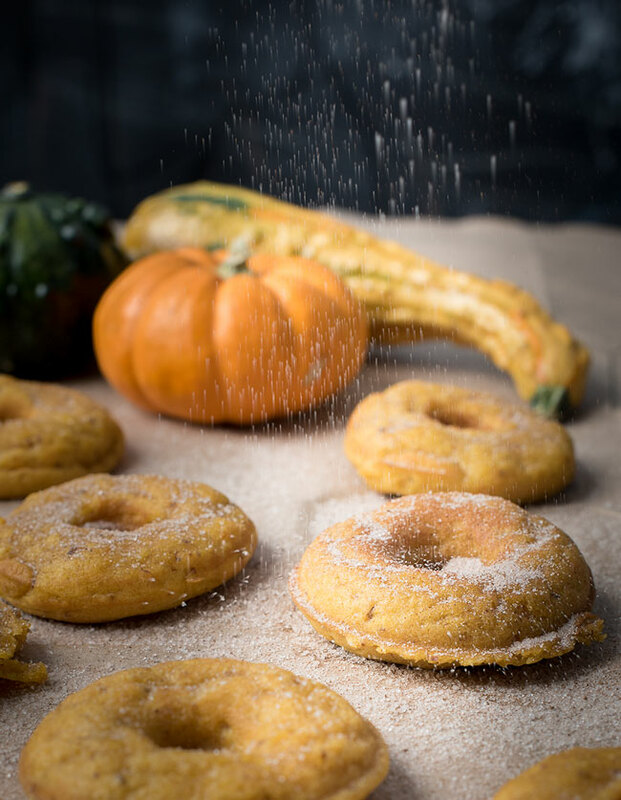 Homemade Pumpkin Donuts | My Wife Can Cook use this pan for baking! Dusted with cinnamon, sugar, and pumpkin spice and made with ground flax and coconut oil so you don’t have to feel too guilty about eating these donuts. 4. 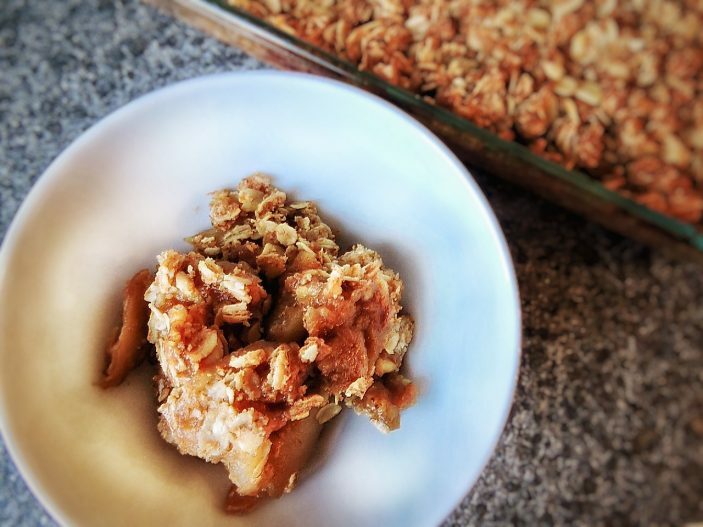 Salted Caramel Apple Pie Bars | Happy Healthy Mama Feel good about serving these to your guests. 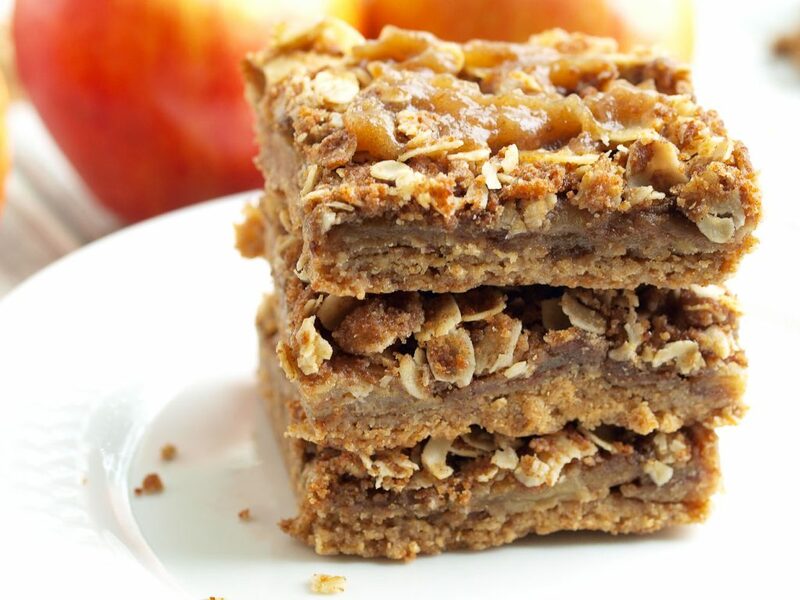 Made with whole wheat flour, oats and apples, these bars are good any time of the year, 5. 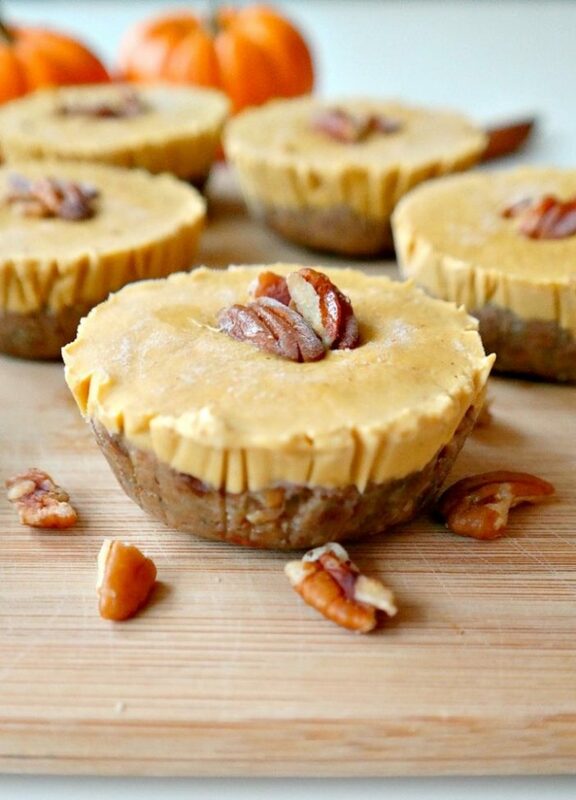 Mini Vegan Pumpkin Pie Cheesecakes | The Glowing Fridge Made with cashews, these yummy bits are rich, pumpkin-spiced, creamy and not too sweet. 6. 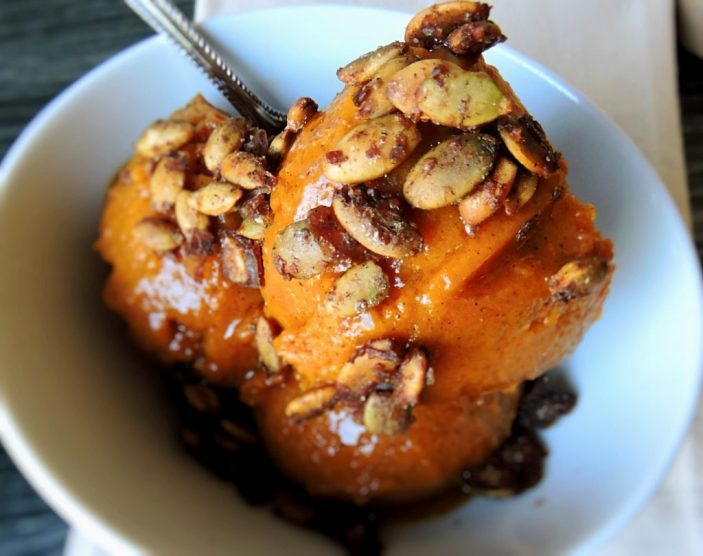 Dairy-free Pumpkin Nice Cream | Plantiful Plates Bananas, pumpkin puree and fall spices makes this “nice” cream perfect to eat any time of the day. 7. Apple Crisp | Plantiful Plates Sweetened with dates and topped with crispie oats, this is comfort food at its best. 8. 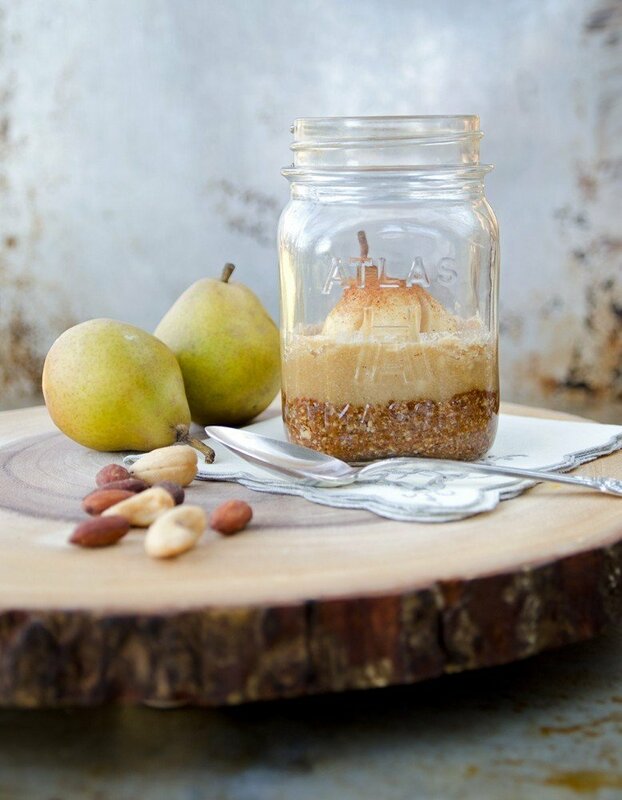 Nutty Pear Crumble | Vintage Kitty Pears are heart-healthy because they have soluble fiber like oats. Chop the pears or fan them out to be decorative. 9. 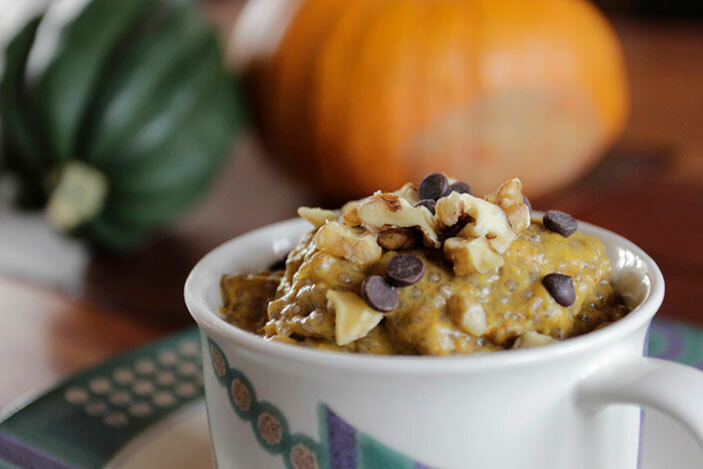 Pumpkin Pudding | Plant-Based Cooking Save time with this easy recipe that uses healthy omega 3 chia seeds to help bind it together. 10. 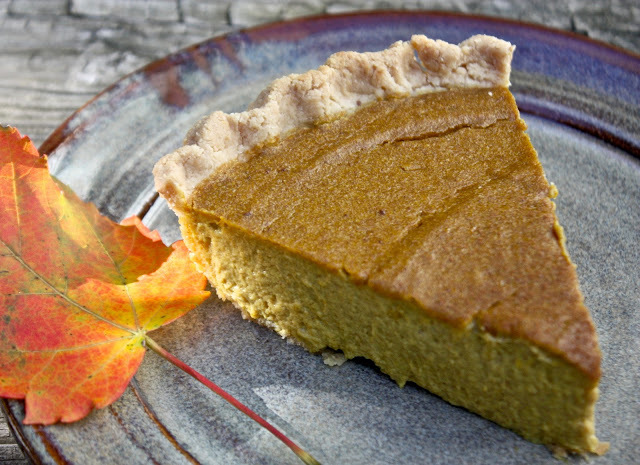 Pumpkin Pie | Helyn’s Plant-Based Kitchen Crazy easy recipe and the crust only has 2 ingredients! Keep the pounds off and stay healthy this holiday season with these low-fat, easy on the sugar recipes. Plant-based is the best. What yummy desserts are you planning this holiday?